It's my birthday today and I must admit that I think that this is the happiest that I've ever been in all my of life. Good thoughts and wishes for all. I wish you all a happy day. 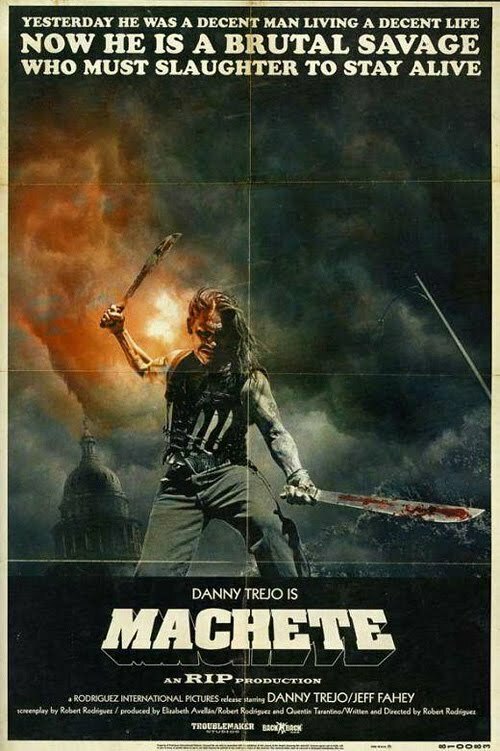 The movie Machete, currently playing all over the place and directed by Ethan Maniquis and Robert Rodriguez is by far one of the most awful films that I have seen in years. Its only redeeming quality is that it allows the use of the word "Mexploitation," which is a very cool new word which showcases the ever amazing muscularity of the Englisg language. Even though it is full of very talented and/or big name actors (De Niro, Jessica Alba, Michelle Rodriguez, Steven Segal, Lindsay Lohan, etc. ), it is not much more than a Mexicanized storyline (written by the director's cousin) along the lines of the gory, pre-Machete films (Planet Terror and Death Proof) by Rodriguez and Quentin Tarantino. No vale la pena. Please don't make a hit out of this movie or we will be seeing an unending series of sequels. Read Tricia Olszewski's review in the CP here and Michael O'Sullivan's review in the WaPo here.